Daniffs are mixed breed dogs, combinations between Great Danes and Mastiffs. Usually, hybrid dogs are created by breeders in order to get dogs with certain characteristics, but often enough they’re simply the product of accidental breeding between dogs of different breeds. For that simple reason, you may very well be able to find a puppy Daniff to adopt, so breeders are not your only solution if you want one of these dogs. Being a hybrid, the Daniff will take some characteristics from both the Mastiff and the Great Dane. 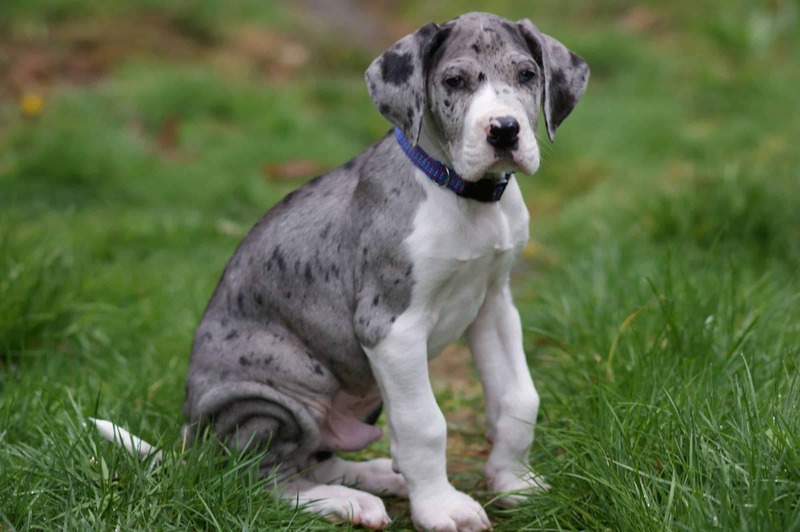 The result is a bit unpredictable, so a dog might look more like a Mastiff, but might have the temperament or health issues that are characteristic to the Great Dane. The fact that they’re mixed doesn’t make them any less intelligent or lovable, so if you have one of these dogs, enjoy them and give them a good home. 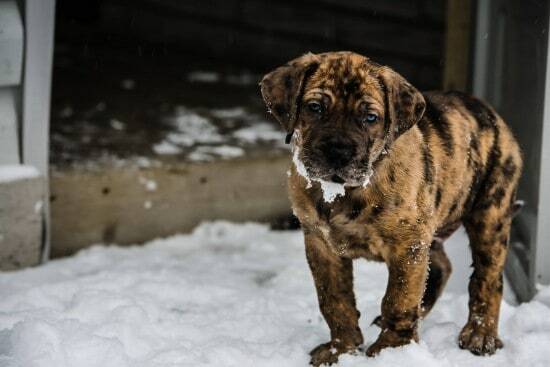 Below we’ll cover the Great Dane Mastiff mix, by looking at the things that are characteristic to these dogs. Some things they have in common, while others are different. By knowing what each dog brings to the table, you will know what to watch for in your own Daniff. Due to the size of these dogs, the average lifespan is not as long as it is for other breeds. 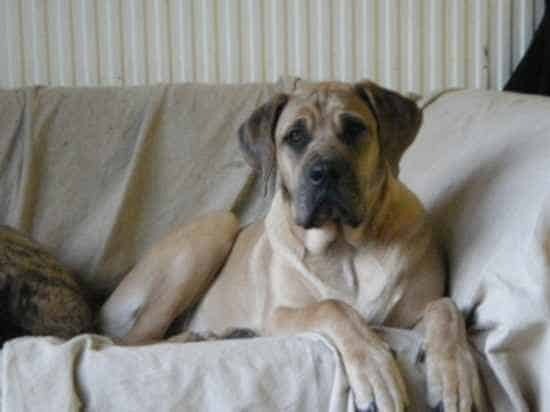 While the Mastiff is expected to live a bit over 10 years, the Great Dane usually has a lifespan of less than 10 years. 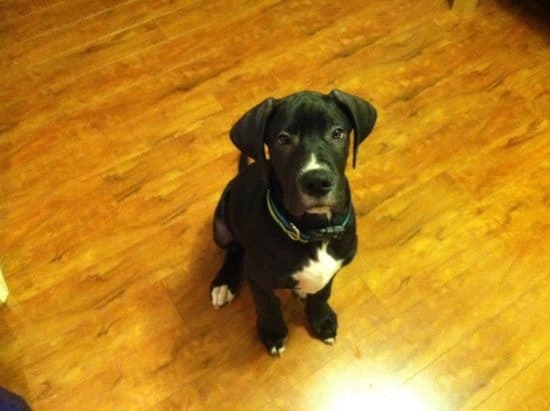 The Great Dane Mastiff mixed dog is a big pet, since both breeds have over 25 inches in height and a weight of over 110 pounds. You can expect their offspring to be just as big. Both breeds have short coats, they shed an average amount and the grooming process is very easy to do, or almost non-existent. Temperament wise, the dogs are fairly friendly when it comes to strangers, especially true for the Great Dane, which is a great family dog to have. These dogs are dependent on people, so there is no independent streak to worry about if it’s something you don’t want. They’re also submissive, so obedience training shouldn’t be difficult. They’re very good family dogs and they do well with kids. 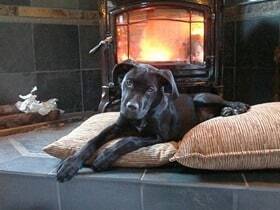 As for other pets, as long as they were around while the dog was a puppy, they should be OK. The Daniff’s training process will vary, depending on the side of the gene pool they take after. The Dane is the one that is trainable at a decent pace, but the Mastiff is known for being a bit harder to train. 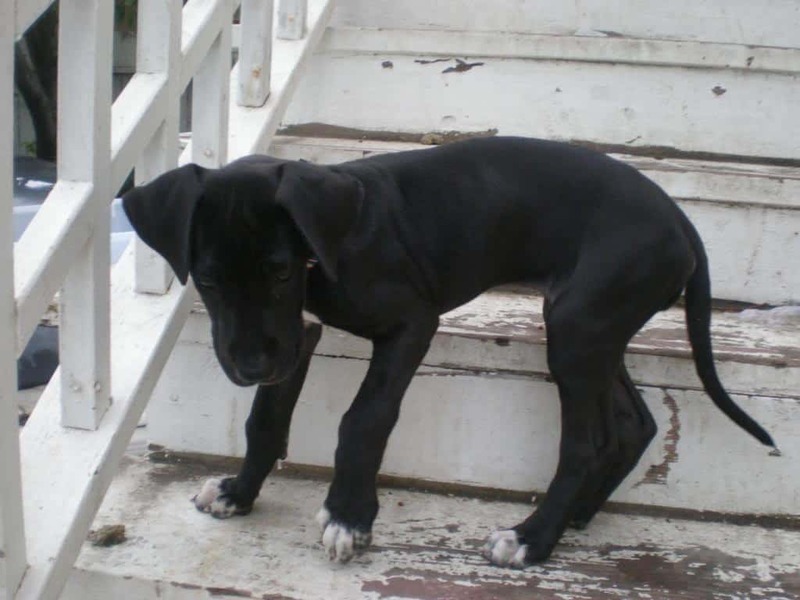 Both breeds need a certain amount of exercise in their life, especially the Great Dane. A big yard is recommended, especially if it takes after the Dane side of the family, but the Mastiff needs some open space as well. It doesn’t mean that they will not do well in apartments though. Both dogs will be OK, as long as their owner makes sure they get their daily exercise. And if you want to see an 8 month old Daniff puppy, which weighs 100 pounds, check out the video below. Please help me find a Daniff pup, the! 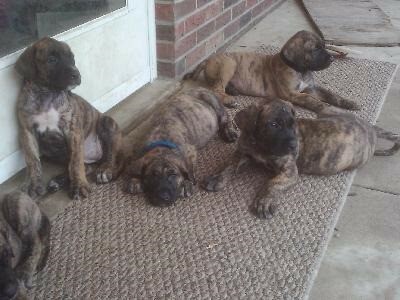 If youre still looking for a great dane mastiff my friends just had 10 puppies. He lives in El Monte California though. I live in CA and aré looking for a Daniff puppy. Can i ver bus contacto info? Hi Mariah, I currently have 9 week old Daniff pups. I’m in the La Habra CA area. Please reply if still interested and I’ll send pics and more info. Thanks. Any Danif Puppies right now? I’ve been looking all over and saw that you had a litter in 2015. Hi do they still have some available? Do you still have pups available? I live in California and I am hoping to find one to train and love for mobility assistance. 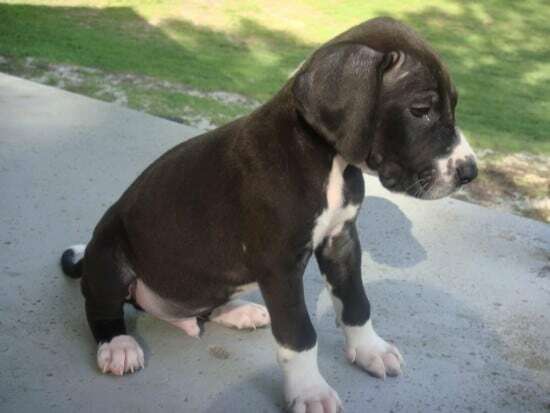 Looking for a male daniff any color, preferably a puppy no more than 12 weeks old email me at [email protected] if you have one thanks!! We live in San Antonio, Texas and are looking for a daniff puppy. We want a black male if possible and are willing to pay for the shipment, anyone know of a breeder? Thanks! Carol, I would check on DKC Chat Group on Facebook. I have seen some litters recently posted. I live in southwest missouri and am looking for a sweet girl daniff for a family pet..does anyone know of any I can adopt? Live in colorado willing to travel reasonable distance. Would prefer a blue daniff but definitely open to others. You should look at DKC Chat Group. Many litters get posted there on Facebook. I live in San Antonio and am looking for a female Daniff puppy. Will travel to find the perfect puppy. If anyone knows of a breeder or someone looking to give up for adoption please email me at [email protected]. In serious need of finding a daniff. I have seriously fallen in love with this breed. Willing to travel. Anyone that knows of any available please contact me!! How old? How much? Where are you located? I live in Michigan and have been trying to find a Daniff any suggestions? Anyone have a Daniff litter pls email Ryan at [email protected]. Ideal timing after July 2018. Thanks!! I seen your ad a few weeks ago. There are a few sites Ryan that you can find Daniff’s and a few are puppies cheaper than breeders prices. I am Sue in case you read my ad. My email is [email protected] Where are you located I’m in Mo. now was in Fl for 20 years. Anyway hope you find what you are looking for. After seeing this ad of people looking for Daniff’s. I have a male 2 1/2 year old that I need a good home for. He is so well trained it makes me crazy thinking he is not human. He is a very hansom boy but still puppy like. I am not active enough for him and feel I am letting him down by keeping him. If fact he is not fixed and I was planning to do this. But, being he is so beautiful I think he deserves to have puppies in his name. I will send pictures if needed. He is also house broken and a very gentle giant. Has no problem with children and loves other dogs he lives with a Boston terrier who at first didn’t get along but after a week they were and are best friends. If you are interested in him. I live in Missouri. Please send me a note. Sorry I forgot the most important thing he is Brindle in color and looks just like a lion from the back. We named him Brutus. 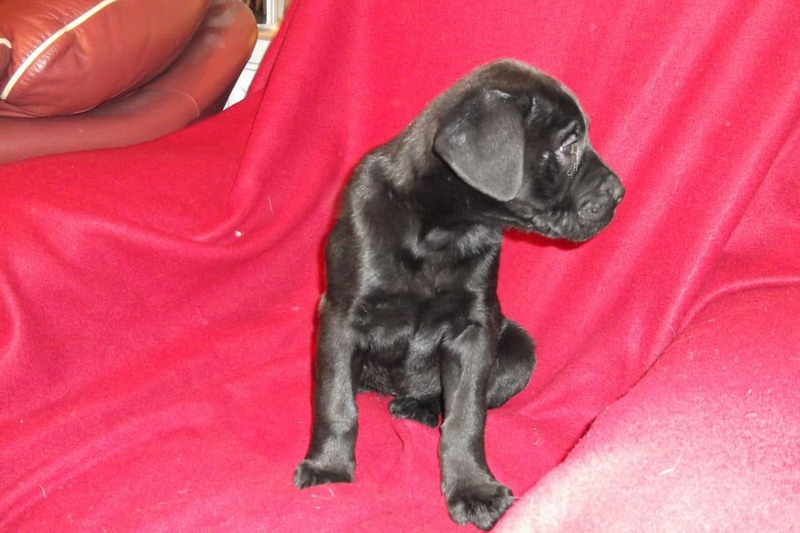 Am currently in Fort Worth, TX but am willing to drive 500 miles for a Daniff puppy. Anyone have any that they can hook me up with? Thanks. I’ve been looking for a daniff pup since I was introduced to one at a Petco in Vacaville, CA. He was a gorgeous pup and fell in love with him. That’s when the owner told me his breed. Ever since then I keep looking for one. If you know of any that are for sale, my grandgirls and I would love to connect with one. Anywhere in California because I would drive to pick one up: number is (707) 330-4658. Today is 22-10-2018. I hope to hear good news.